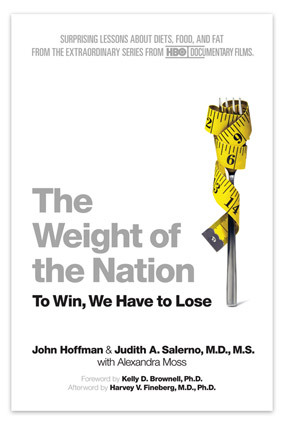 Well, this book gave a lot of the negative information you won’t get in most books on health and weight loss, which I appreciated, but otherwise seemed to skim on the very surface of this topic and didn’t really tell me anything I didn’t know. I also didn’t appreciate the few HBO plugs, which made the book feel more biased and less impartial, which I really dislike in nonfiction. Later: the documentary, watched in late 2012, was far better than the book companion! This entry was posted in 2012, Adult, Prose, Wellness and tagged body image, health, mini-review, nonfiction. Bookmark the permalink.